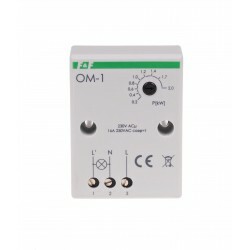 The power consumption limiter OM-633 is used to automatically disconnect the power supply circuit of the electrical installation in the event of exceeding the determined value of power consumed by receivers in this circuit and to control the supply voltage of this receiver and protect it from the effects of voltage rise or fall outside the set values. 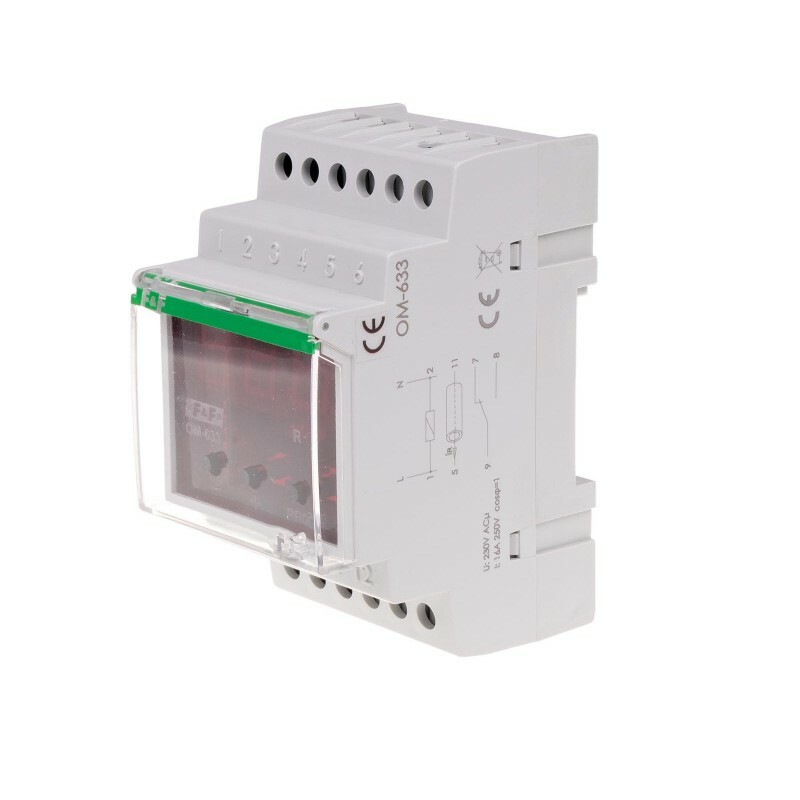 The power limiter allows power to be supplied to the circuit when the total power of the receivers in the controlled circuit is lower than the one set on the scale of the limiter. 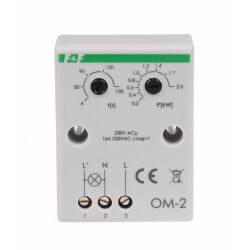 Exceeding the set threshold of power consumption in the controlled circuit causes disconnection of power supply of this circuit after the time set by the user. The power will resume automatically after the set time. 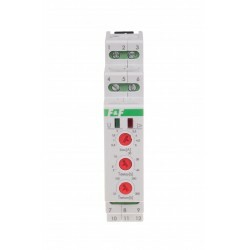 If the value of the power consumed is still higher than the set value, the power supply will be disconnected again. Automatic disconnection will also take place in case of power consumption 8 times higher than the set threshold and in case of power consumption higher than 16kW. The limiter is blocked for 30 seconds. The lower threshold (UL) and upper (UH) set by the user determines the voltage threshold. 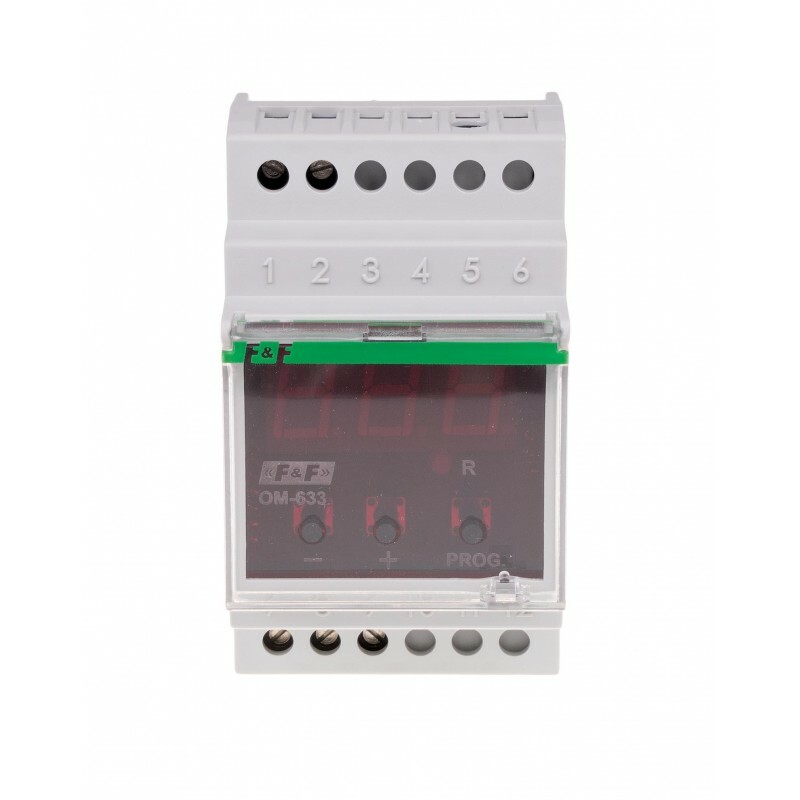 voltage window, within which voltage fluctuations can change without causing contact. 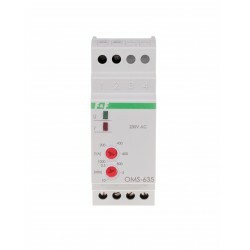 With the correct supply voltage, the limiter contact remains closed. 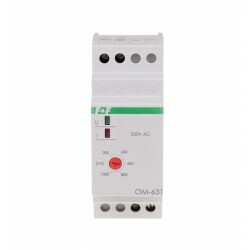 A change in the supply voltage above or below the set voltage thresholds will open the contact. 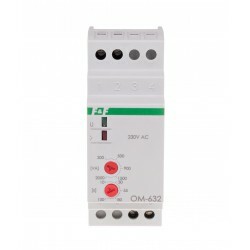 The re-connection of the relay contact will take place automatically in case of a permanent change of the voltage value by 5V in relation to the set threshold values ​​UH (-5V) and UL (+ 5V). 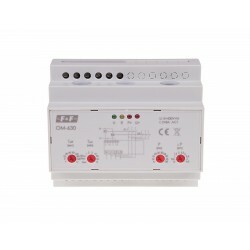 This function controls the number of consecutive operations of the limiter. If the set value of the meter is reached, the limiter permanently disconnects the power supply (no automatic return). Reconnection of the system after manual lock reset. By default (parameter 0) the delimiter has a lock function set for 10 minutes. after another 5 connections. The calculated value of the counter is reset in case of permanent limiter operation above 10 min. 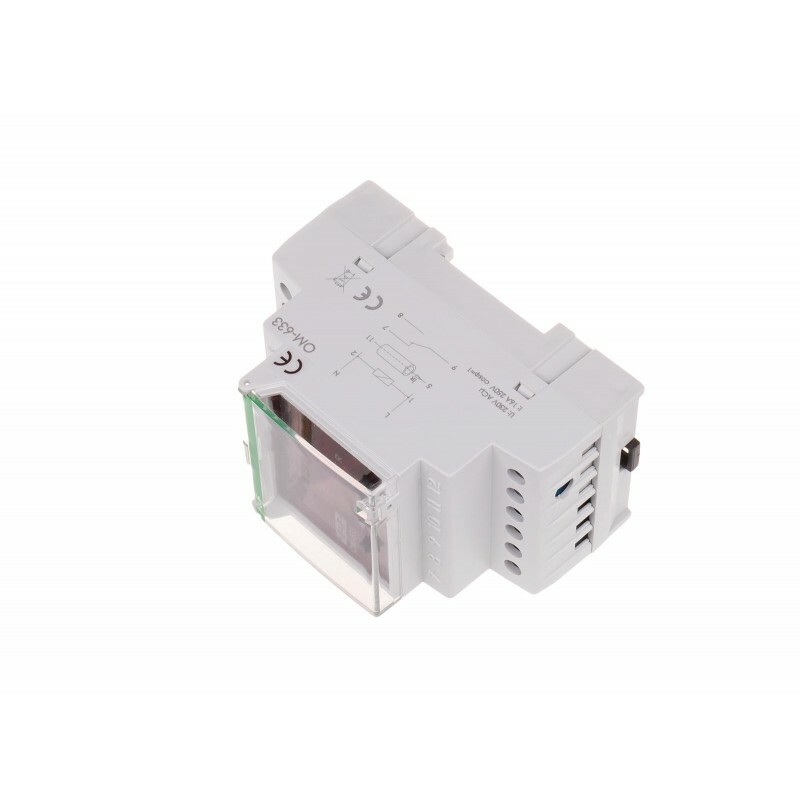 The power limiter should not be used in systems with electronic ignition (energy-saving fluorescent lamps), switched-mode power supplies and other devices generating higher harmonics from 3 and higher.